The major disadvantage of electric cars these days is their price and the availability of charging stations. If you can get past these issues, there are quite a number of advantages that consumers might be interested in. They do not offset the price yet. 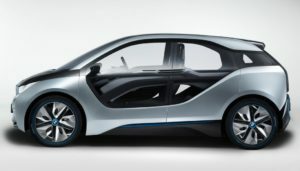 But many consumers who are environmentally conscious are beginning to invest in electric cars with their pocket books. The biggest advantage is that you do not have to buy gas. You really are not that interested in the price of gas as it goes up and down. Electricity is gradually converting to what is called renewable energy. Which means wind, solar and hydro with no corresponding pollution to be concerned about. The cars themselves are not polluters. They are very quiet as they are driven around the city. They are also excellent commuter cars provided that a two way trip is within the battery’s capacity. This is pretty much a necessity. Unless you have a way of recharging the batteries at work or wherever you are visiting. More and more locations are providing charging stations and this will expand over times as well. Another advantage of these cars is that you are not burning gas or generating heat when you are stuck in traffic. If you live in a city that is prone to a lot f pollution. Then every electric car that is driven is contributing to a decrease in pollution. This is one of the reasons that places like California have some of the most generous programs available. They want to help people purchase electric vehicles and to also install recharging stations. Tesla’s model S has proven that high speeds are possible and that acceleration can also be very high as well on the 0 to 60 miles per hour category. They are driving the research and the experience curve right now and will continue to do so in the sport category. Other cars such as the Ford Focus and the GM Volt are aimed at the mass production version of the electric car. They are gradually increasing in sales and will become more popular as more and more people try them out as rental cars etc. The electric vehicle does not need oil changes for the engine or for the transmission, saving each owner something in the neighborhood of $200 a year or more in operating costs in addition to the cost of gasoline that might be used. Add in the supporting electronics and you have a vehicle which many kids are used to that is effectively an operate by wire kind of car. Let us know of other electric car advantages that we may have missed and should include in this post. We would be glad to see them and will place them on this post as comments.